WiFi NTP Digital Wall Clocks | TimeMachines Inc. 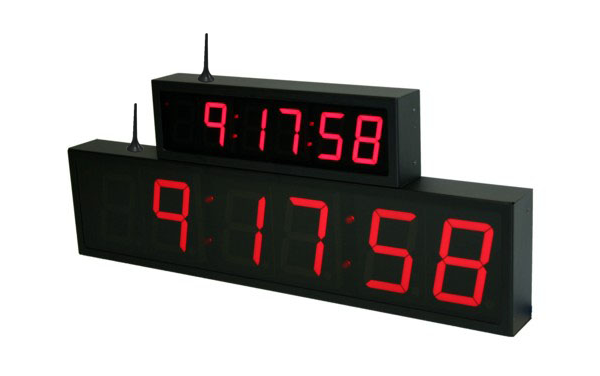 The TimeMachines WiFi digital wall clock displays use Network Time Protocol (NTP) to display your network's time. 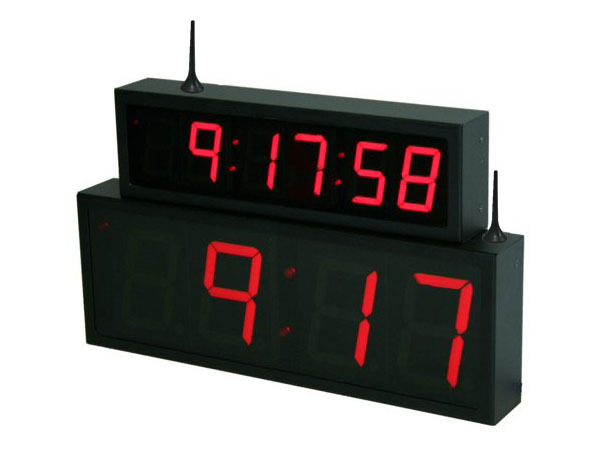 Every WiFi network clock display is assigned a unique IP address within your network, and can be configured to either an internal network time source, or an external, internet-based time server like NIST Internet Time Service. Whether your time is sourced internally or through the internet, all of these networked clocks will display synchronized time wherever they are located within your facility. 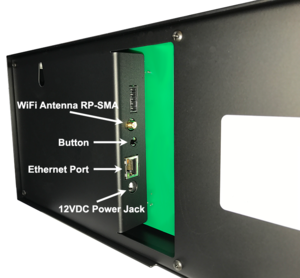 The WiFi clocks are powered by a 12VDC power supply and also include a WiFi antenna. For initial set-up of these WiFi NTP wall clocks, an Ethernet cable must be connected to the clock. Within a few moments of being connected to the network, it will synchronize and display time. 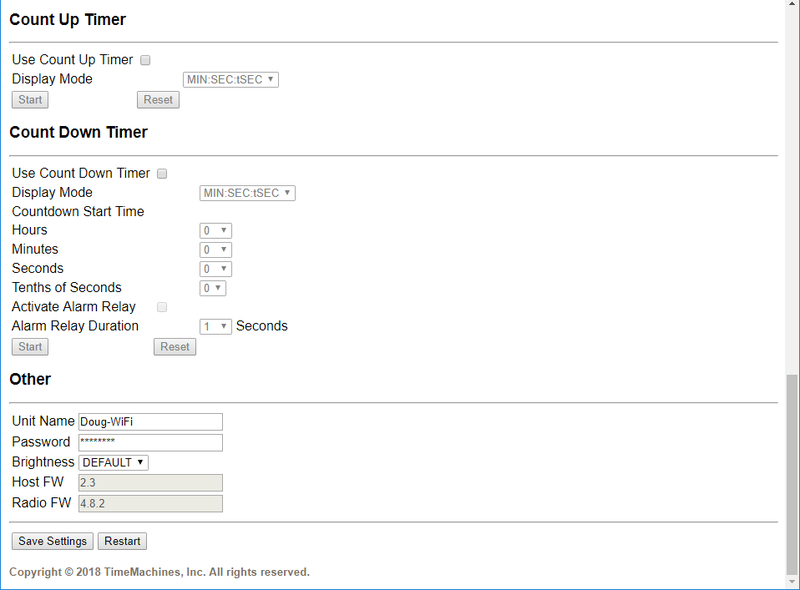 Now you are ready to configure your clock to the specifics of your WiFi network. Once your clock is displaying time, simply push the button on the back of your clock two times to get the DHCP served IP address for your clock – it will scroll across the display. To setup the clock onto your WiFi network, you will also need to input the SSID, the security type (Open, WPA1, or WPA2), and the AP password for your WiFi network. Once these WiFi network settings are in AND saved, you can disconnect the Ethernet cable, cycle power, and use the clock exclusively on your WiFi network. Within the individual configuration page, an individual display can be configured to be a count-up or count-down timer. The alarm capabilities of this device that can be utilized if a relay connector is added to connect the clock to a buzzer or bell. You can also change the device name (Conference Room #1, Classroom #104, Front Office, etc. ), set the access password, and make brightness adjustments from this configuration page for an individual device. 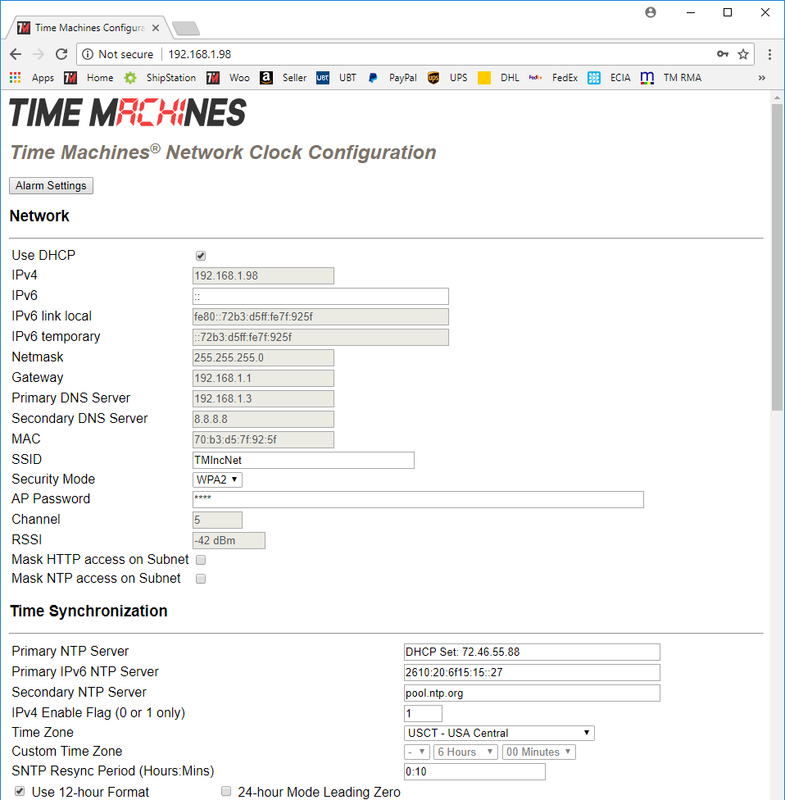 If you have lots of TimeMachines NTP wall clocks on your network, you can use any of our free applications to monitor, adjust, or expand the functionality of your WiFi and PoE Network Clocks collectively from one spot rather than on each individual device's configuration page. You can customize some of your displays to become network clock timers when needed – individually or synchronized in various groups across the network. You can set one display to display only the date, while others are clocks or timers. These applications give you a broader control over the specifics of your entire network of TimeMachines devices. Take a look at our TM-Manager software for Windows, or the TM-Timer Smartphone App which is available for both Android and iOS.